This article is about Assamese, a modern Standard Indo- Aryan language. For old Assamese, see Old Kamrupi. For the fictional character, see Athena Asamiya. Genealogically, Asamiya belongs to the group of Eastern Indo-Aryan languages, marked in yellow. Asamiya text, one of the writing systems of India. Assamese, Asamiya, Axomiya or Oxomiya (English pronunciation: /ˌæsəˈmiːz/; Assamese: অসমীয়া, Ôxômiya, pronounced: [ɔˈxɔmija]) is an Eastern Indo-Aryan language spoken mainly in the state of Assam, where it is an official language. The easternmost of the Indo-Aryan languages, it is spoken by over 13 million native speakers, and serves as a lingua franca in the region. It is also spoken in parts of Arunachal Pradesh and other northeast Indian states. Nagamese, an Assamese-based Creole language is widely used in Nagaland and parts of Assam. Nefamese is an Assamese-based pidgin used in Arunachal Pradesh. 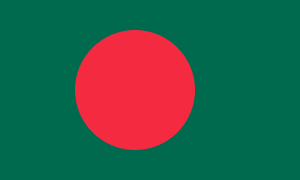 Small pockets of Assamese speakers can be found in Bangladesh. In the past, it was the court language of the Ahom kingdom from the 17th century. Along with other Eastern Indo-Aryan languages, Assamese evolved at least before 7th century A.D from the Magadhi Prakrit, which developed from dialects similar to, but in some ways more archaic than Vedic Sanskrit. Its sister languages include Bengali, Odia, Maithili, Chittagonian, Sylheti, Angika and Bihari languages. It is written in the Assamese script, an abugida system, from left to right, with a large number of typographic ligatures. Silver coin issued during the reign of Rudra Sinha with Asamiya inscriptions. One of the distinguishing alphabets of Asamiya script. Assamese originated in Old Indo-Aryan dialects, though the exact nature of its origin and growth in not clear yet. It is generally believed that Assamese (Assam) and the Kamatapuri lects (North Bengal and Assam) derive from the Kamarupa dialect of Eastern Magadhi Prakrit and Apabhramsa, by keeping to the north of the Ganges; though some authors contest a close connection of Assamese with Magadhi Prakrit. 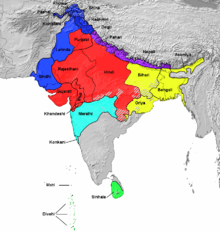 The Indo-Aryan language in Kamarupa had differentiated by the 7th-century, before it did in Bengal or Orissa. These changes were likely due to non-Indo-Aryan speakers adopting the language. The evidence of this language is found in the Prakritisms of the Kamarupa inscriptions. The earliest forms of Assamese in literature are found in the ninth-century Buddhist verses called Charyapada (চৰ্যাপদ), and in 12-14th century works of Ramai Pundit (Sunya Puran), Boru Chandidas (Krishna Kirtan), Sukur Mamud (Gopichandrar Gan), Durllava Mullik (Gobindachandrar Git) and Bhavani Das (Mainamatir Gan). In these works, Assamese features coexist with features from other Modern Indian Languages. A fully distinguished literary form (poetry) appeared first in the fourteenth century—in the courts of the Kamata kingdom and in the courts of an eastern Kachari king where Madhav Kandali translated the Ramayana into the Assamese (Saptakanda Ramayana). From the fifteenth and sixteenth centuries, songs – Borgeets, dramas – Ankiya Naat and the first prose writings (by Bhattadeva) were composed. The literary language, based on the western dialects of Assam moved to the court of the Ahom kingdom in the seventeenth century, where it became the state language. This period saw the widespread development of prose infused with colloquial forms. According to Goswami (2003), this included "the colloquial prose of religious biographies, the archaic prose of magical charms, the conventional prose of utilitarian literature on medicine, astrology, arithmetic, dance and music, and above all the standardized prose of the Buranjis. The literary language, having become infused with the eastern idiom, became the standard literary form in the nineteenth century, when the British adopted it for state purposes. As the political and commercial center shifted to Guwahati after the mid-twentieth century, the literary form moved away from the eastern variety to take its current form. Assamese is native to Assam Valley which includes Upper-Assam and Lower-Assam regions of the state of Assam. It is also spoken in states of Arunachal Pradesh and Nagaland. There are also significant Assamese-speaking communities in Australia, Dubai, the United Kingdom, Canada and the United States. Assamese is the official language of Assam, and one of the 23 official languages recognised by the Republic of India. The Assam Secretariat functions in Assamese. Assamese or Asamiya consonant clusters include are thirty three pure consonant letters in Assamese alphabet and each letter represents a single sound with an inherent vowel, the short vowel /a /. The first twenty-five consonants letters are called ‘sparxa barna’. These ‘sparxa barnas’ are again divided into five ‘bargs’. Therefore, these twenty-five letters are also called ‘bargia barna’. Assamese and Sylheti are unusual among Eastern Indo-Aryan languages for the presence of the /x/ (which, phonetically, varies between velar ([x]) and a uvular ([χ]) pronunciations, depending on the speaker and speech register), historically the MIA sibilant has lenited to /x/ and /h/ (non-initially). The derivation of the velar fricative from the coronal sibilant /s/ is evident in the name of the language in Assamese; some Assamese prefer to write ⟨Oxomiya⟩ or ⟨Ôxômiya⟩ instead of ⟨Asomiya⟩ or ⟨Asamiya⟩ to reflect the sound change. The voiceless velar fricative is absent in the West Goalpariya dialects though it is found in lesser extent in East Goalpariya and Kamrupi, otherwise used extensively further east. The change of /s/ to /h/ and then to /x/; all these have been attributed to Tibeto-Burman influence by Dr. Chatterjee. Eastern Indic languages like Assamese, Bengali, Sylheti, and Oriya do not have a vowel length distinction, but have a wide set of back rounded vowels. In the case of Assamese, there are four back rounded vowels that contrast phonemically, as demonstrated by the minimal set: কলা kôla [kɔla] ('deaf'), ক'লা kola [kola] ('black'), কোলা kûla [kʊla] ('lap'), and কুলা kula [kula] ('winnowing fan'). 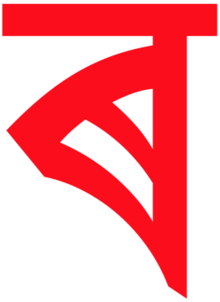 The near-close near-back rounded vowel /ʊ/ is unique in this branch of the language family. Gender and number are not grammatically marked. E.g., manuh-jƆn – "the man"
E.g., mahuh-jani – "the woman"
E.g., sƆrai zƆni – "the bird", PƆruwa-jƆni – "the ant"
E.g., kabi-jƆnā – "the poet", goxai-jƆnā – "the goddess", rastrapati-gƆɹakī – "the president", tirotā-gƆɹakī – "the woman"
(b) ta: is used only after numerals, e.g., eta, duta, tinita – "one, two, three"
E.g., sabi-kɔsa - "the bunch of key", saul-mɔtʰa – "a handful of rice", suli-tāɹi or suli kɔsa – "the bunch of hair"
E.g., bah-dal - "the bamboo", Kath-dal – "the piece of wood", bah-dali – "the piece of bamboo"
Most verbs can be converted into nouns by the addition of the suffix /ɔn/. For example, /kʰa/ ('to eat') can be converted to /kʰaɔn/ ('good eating'). Dhara ek: Xôkôlû manuhê swadhinbhawê xôman môrzôda aru ôdhikarê zônmôgrôhôn kôrê. Xihôtôr bibêk aru buddhi asê aru xuhôtê pôrôspôr bhatritwôrê asôrôn kôribô lagê. d̪ʱara ek | xɔkɔlʊ manuhɛ swadʱinbʱawɛ xɔman mɔɹzɔda aɹu ɔdʱikaɹɛ zɔnmɔgɹɔɦɔn kɔɹɛ. xihɔtɔɹ bibɛk aɹu buddʱi asɛ aɹu xihɔtɛ pɔɹɔspɔɹ bʱatɹitwɔɹɛ asɔɹɔn kɔɹibɔ lagɛ. ↑ Hammarström, Harald; Forkel, Robert; Haspelmath, Martin; Bank, Sebastian, eds. (2016). "Assamese". Glottolog 2.7. Jena: Max Planck Institute for the Science of Human History. ↑ "Meet the Axomiya Sikhs". The Tribune. Chandigarh. 24 March 2013. ↑ "Assamese - definition of Assamese in English from the Oxford dictionary". Retrieved 2 March 2016. ↑ "Statement". censusindia.gov.in. Archived from the original on 6 February 2012. ↑ Oberlies 2007, p. 163. ↑ Moral 1997, pp. 43-53. ↑ Medhi 1988, pp. 67–63. ↑ Guha 1983, p. 9. ↑ Goswami 2003, p. 434. ↑ "Assamese Association – of Australia (ACT & NSW)". ↑ "Welcome to the Website of "Axom Xomaj",Dubai, UAE (Assam Society of Dubai, UAE)!". ↑ User, Super. "AANA - AANA Overview". ↑ "Secretariat Administration Department". assam.gov.in. 1 2 3 Assamese, Resource Centre for Indian Language Technology Solutions, Indian Institute of Technology, Guwahati. ↑ Moral 1997, p. 45. ↑ Goswami, Upendranath (1970), A Study on Kamrupi, p.xiii /x/ does not occur finally in Kamrupi. But in St. Coll. it occurs. In non-initial positions O.I.A sibilants became /kʰ/ and also /h/ whereas in St. Coll. they become /x/. ↑ Moral 1997, p. 46. ↑ Bara 1981, p. ?. ↑ Kommaluri, Subramanian & Sagar K 2005. ↑ Moral 1997, p. 47. ↑ Moral 1997, pp. 49-51. ↑ Moral 1997, p. 48. ↑ Kakati 1941, p. 14-16. ↑ Goswami 2003, p. 436. ↑ Goswami 2003, pp. 439-440. Masica, Colin P (1993). The Indo-Aryan Languages. Cambridge University Press. Retrieved 4 February 2013. Wikivoyage has an entry for Assamese phrasebook. Wikimedia Commons has media related to Assamese language.